Nashville, TN --- Two time International Bluegrass Music Association (IBMA) Entertainer of the Year award winners, The Grascals, delighted fans with an appearance at The Opry Shop. Band members signed copies of their new CD, Life Finds a Way, just before making their 115th appearance on The Grand Ole Opry March 24. 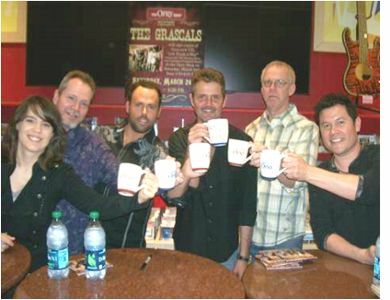 The Grascals toast six cheers to the Grand Ole Opry as they celebrate 115 Opry appearances ... and the bluegrass music group's latest CD, Life Finds a Way. Life Finds a Way implies a journey. 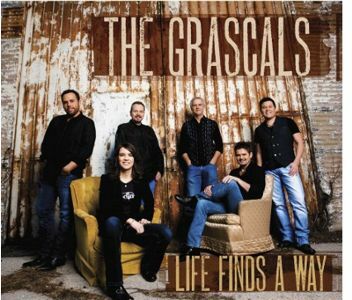 From multiple IBMA Entertainer of the Year awards to multiple Grammy® nominations, the Grascals have had an epic one. 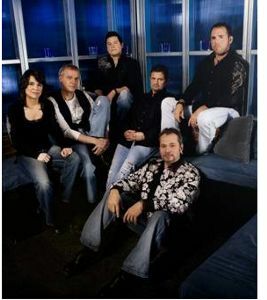 Now they are back with the highly anticipated signature release that will remind fans why they love this group. From the classic "Sweet Baby James," to the instrumental "Eleven Eleven," and the inspirational "The Road to Surrender," Life Finds a Way is a selection of familiar and new songs with significantly deeper themes.